Isopropyl Bromide, 2-Bromo-Propane - Mody Chemi-Pharma Pvt. 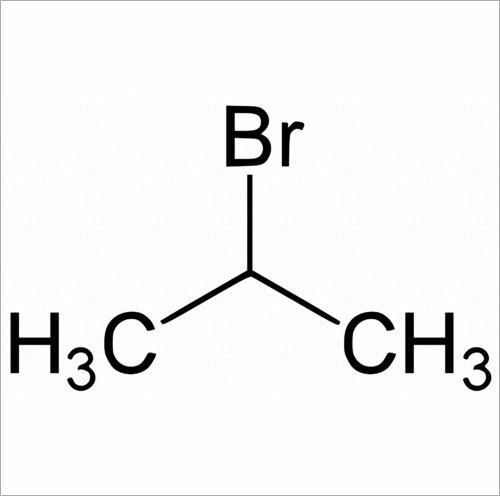 Ltd.
Isopropyl Bromide is also known as 75-26-3, 2-bromo-propane, isopropyl bromide, Propan-2-bromo with Molecular Formula of C3H7Br and Molecular Weight of 122.99168. It is manufactured by heating isopropyl alcohol with HBr and is available in colorless liquid form. Some of its properties include Boiling Point of 59-60°C, Melting Point of -89.0°C, Density/Specific Gravity of 1.31 at 20°C/4°C with miscible solubility with chloroform, ether, alcohol, benzene; slight solubility in acetone and in water (3,180 mg/L at 20°C). Further, it has Surface Tension of 3.5348X10-2 N/m at melting point, Vapor Density of 4.27 (Air=1) and Vapor Pressure of 216 mm Hg at 25°C. 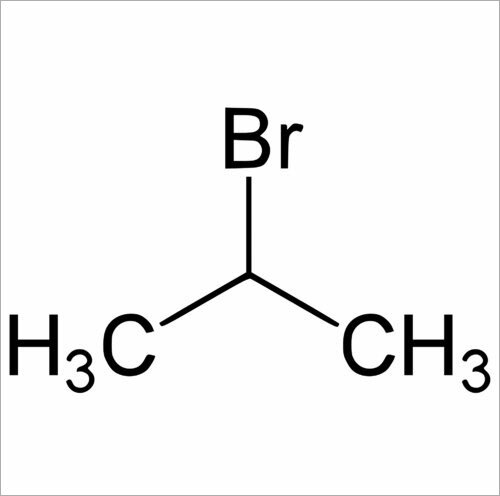 2-Propyl Bromide is also known as 75-26-3, 2-bromo-propane, isopropyl bromide, Propan-2-bromo with Molecular Formula of C3H7Br and Molecular Weight of 122.99168. It is manufactured by heating isopropyl alcohol with HBr and is available in colorless liquid form.